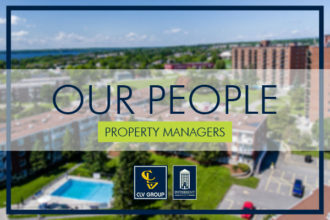 On Saturday, December 1st, 2018, our team at CLV Group in Aylmer, Quebec participated in Parade HOHOHO through Old Aylmer. The parade, which is the official parade for the Gatineau region, ran from the Aylmer Marina to Galeries Aylmer in the evening. Onlookers watched from the sides of the street as well as some from their apartments as the colourful and loud floats passed through the quiet but charming town for an evening of Christmas cheer. Guests of the parade also had the chance to browse the Christmas market located along the parade route complete with Christmas trees decorated by local daycare children. The theme this year was Winter Candy Land. The team decorated the CLV Group Fiat complete with giant candies, presents, snow and of course Christmas lights to add to the whimsical cheer. 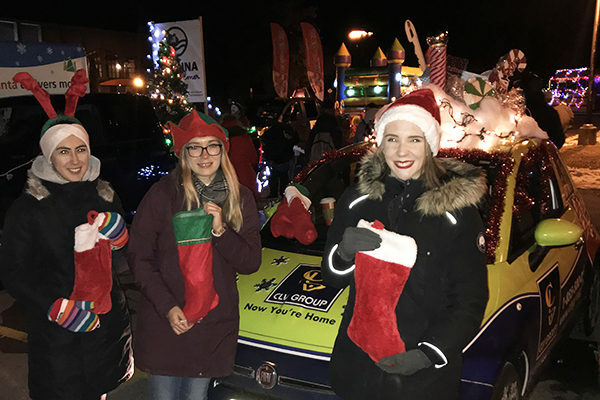 Our volunteers walked alongside the car and handed out candy from stockings to eager children hoping to catch a glimpse of Santa Claus in person. We had an amazing time at the parade seeing all the happy faces and spreading some holiday cheer!